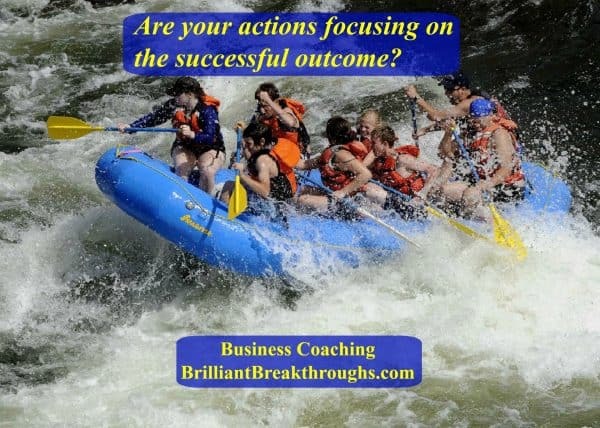 Are your actions focusing on the successful outcome? - Brilliant Breakthroughs, Inc.
Home › Goals › Are your actions focusing on the successful outcome? Are your actions focusing on the successful outcome? Are your actions focused on supporting the outcome you need for success to take hold? Your actions support your success and profitability. Then why do you spend most of your time meandering? Let’s get real for a moment. You already know what you are suppose to be doing to build and secure a successful and profitable business. Why aren’t your actions aligning with the necessary actions to make it happen? When I work with clients I notice they meander two different ways. The first is they are simply distracting themselves and don’t get anything completed. The second is they are consistently busy – but on ancillary things. Is this you? So what’s the big deal? You’re leaving money on the table! Yup. You have lost revenue because your actions aren’t getting you closer to your revenue goals. You might be saying, “No kidding Maggie”, but my question for you is “Why?” Why are you choosing actions which don’t support your desired outcomes? Isn’t it time to own your truth? Before I share “Stop misdirecting your actions from your goals”, let’s consider that your goals aren’t motivating you. Are they? Perhaps it’s that you don’t know how to do the best thing to secure great gains? Is this your truth? Whatever your answers are about your misguided directions, it’s important for you to understand what is happening. If you are choosing to not take Right Actions, then you better know why. And the outcome of such a choice. If you do this for a prolonged period of time, you will need to leave your business and work else where. This renders your actions unsuccessful. The quickest way to kiss your entrepreneurial dream goodbye is by allowing your actions to minimize your effectiveness. There is a mis-guided mindset about entrepreneurs. They work when they want and how they want. This isn’t so. Ask any self-made millionaire and they will share about the long hours to get where they are. They’ll also share the arduous stories of _______. Why did they put their nose to the grindstone? Because they knew their actions had to align with their desired outcome. TIP: Take a moment this week or this weekend to assess if your actions are ones of meandering or ones supporting success and profitability. Are you meandering? Make a phone call to someone who may be able to appropriately assist your productivity. 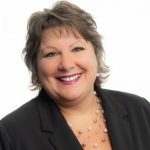 If you don’t know who that is, call me for a free consultation… my number is below or click on the link and send me a message. This is what I do. I help Business Owners develop their businesses for success and profitability. What are you waiting for? How are you going to overcome this? Share your answer in the comment section. p.s. Great aims make great Businesses. Right Actions secure aims. Be diligent about your actions. Thank you for this valuable post Maggie! I really needed reminding of this. Blessings!